Tony Blair is not a Sabbath Goy, he actually works for Israel 24/7. In this shameless performance on Ynet (11/7/2014), Israel’s most popular media outlet, Blair misses an opportunity to communicate with Israelis and explain to them for the first time the context in which the conflict is taking place. 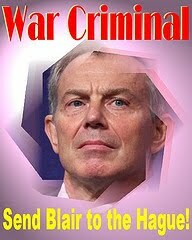 Blair obviously prefers not to upset the Israelis. Bearing in mind the scale of the crimes Blair committed in Iraq on behalf of Israel and the Jewish Lobby, it is understandable. Israel is probably the only country that is willing to give him a shelter. Apparently, in the last seven years, Peace Envoy Tony Blair has visited Gaza only once.